In this episode, Lisa uses her moe powers to convince a couple of terrorists to let her in on their super secret plan to defuse a bomb somebody else set up. Well, not exactly, but Lisa’s first real inclusion to Nine and Twelve’s purposes is a landmark moment for both Lisa and the boys—one that places her in very real danger. I do wonder if she truly understands what she has gotten herself into, but at this point its not about the danger and its not about whether or not she can harm others. It’s about whether or not she belongs. 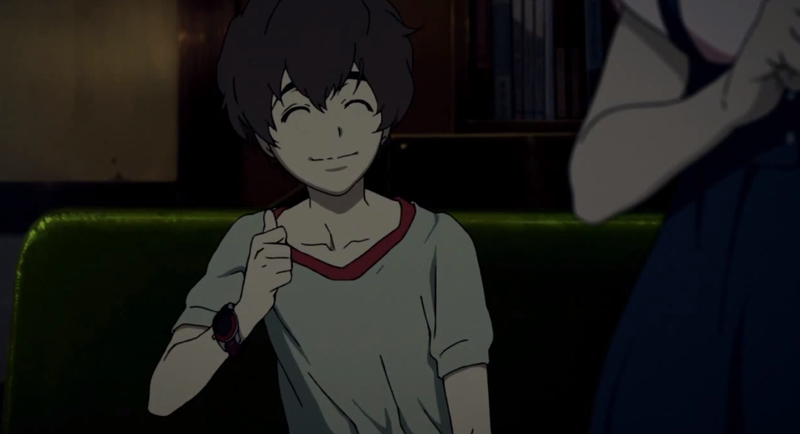 This episode of Zankyou no Terror was all about people coming together. Like last episode, we more or less split time between watching Lisa and the boys in the apartment with the police bisecting the thrilling final minutes of the episode. 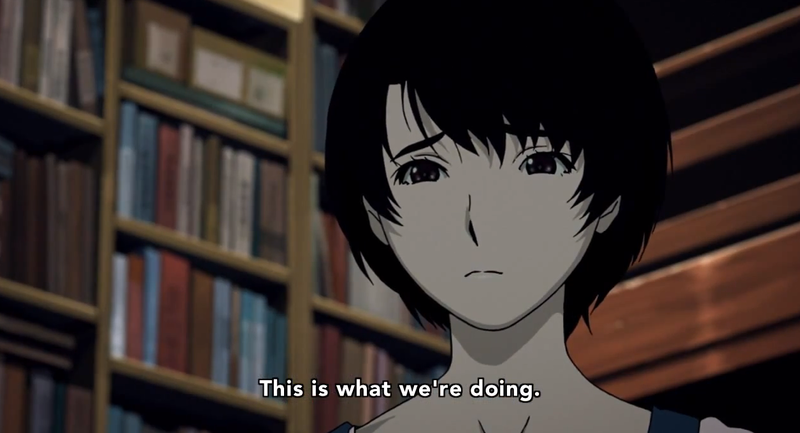 Zankyou no Terror truly does episode endings very well, but we’ll get to that later. As my screenshot ratio tells me, I was again more interested in the domestic shenanigans, and more engaged in the action of the episode’s second half. 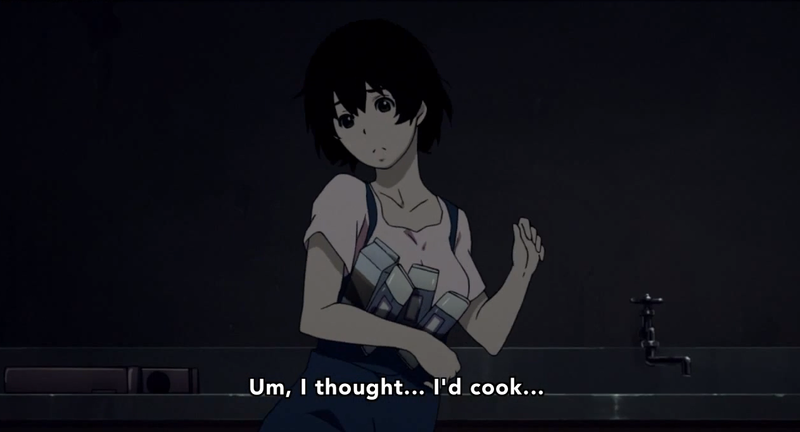 As cute as it was to see Lisa trying to make a home for herself, to almost force herself into the boys’ lives through doing the laundry (and her adorably pathetic attempts to cook), the whole sequence of her interactions has a sad undertone. Lisa has been so alone for so long that she is desperately clinging to any connection to any human beings that she can. 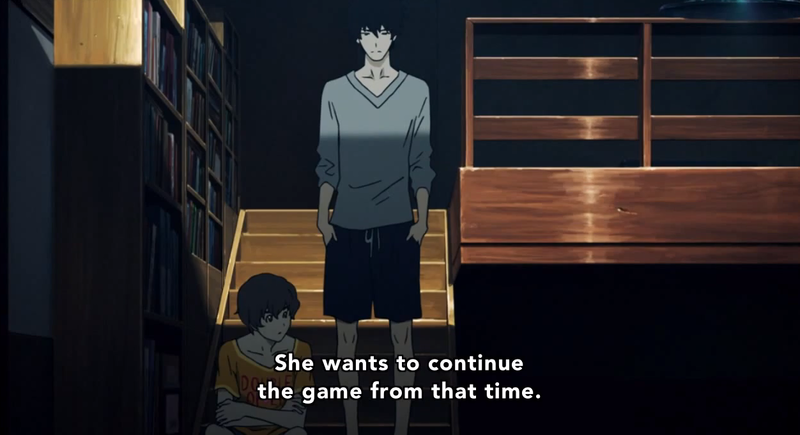 Nine and Twelve represent the first two people to recognize her existence as a person, even if Nine’s words are couched in (again) almost tsundere-like meanness. But Twelve’s words to Lisa continue to counteract Nine’s harshness with a refreshing kindness unlike anything Lisa has ever experienced. Her voice, to Twelve’s synesthesia (a trait that has always fascinated me), is a pale yellow, he says, a rare color. But Twelve might just as well have called Lisa herself special, unique, individual. Twelve truly can’t seem to help himself—he reaches out to Lisa again and again, just as she reaches out to him and to Nine. All this comes to a potent head just as Nine and Twelve are about to leave the apartment to confront Five in the airport. It is here that Lisa refuses to be denied. Although she admits that she’s mostly useless, she insists on her own usefulness, on her own significance. And again she forces herself into this forming family of misfits and societal tragedies, calling Nine by the name that Twelve uses, and not by the fake name he gave to the high school class in the very first episode. 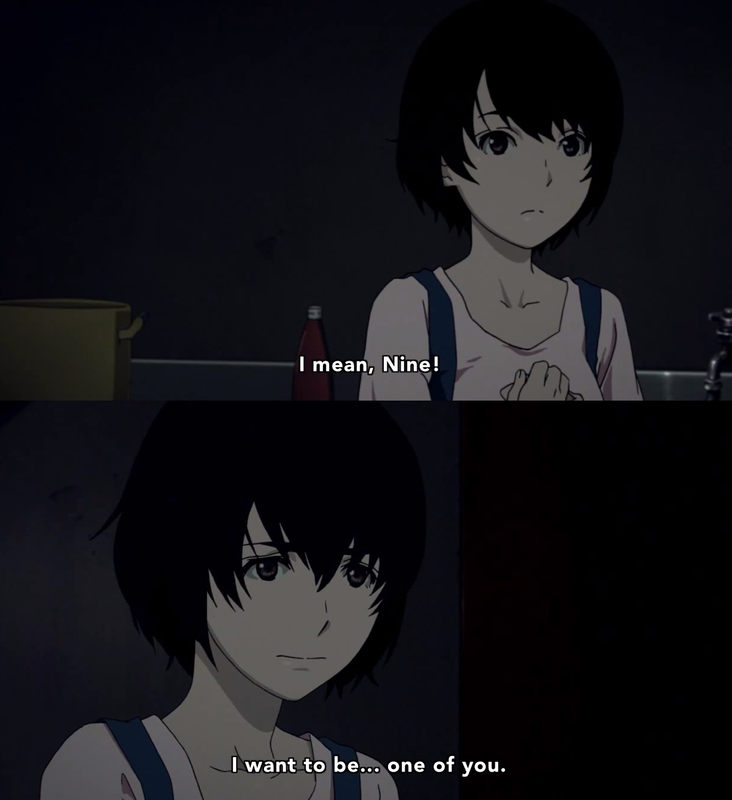 Lisa invites herself into the relationship, and uses the very refrain Nine has for so long maintained to deny her connection: “She’s not one of us.” But Lisa expresses her overwhelming desire for connection despite the fact that she doesn’t like Nine and Twelve’s actions. Her need for companionship and acceptance outweighs everything else. 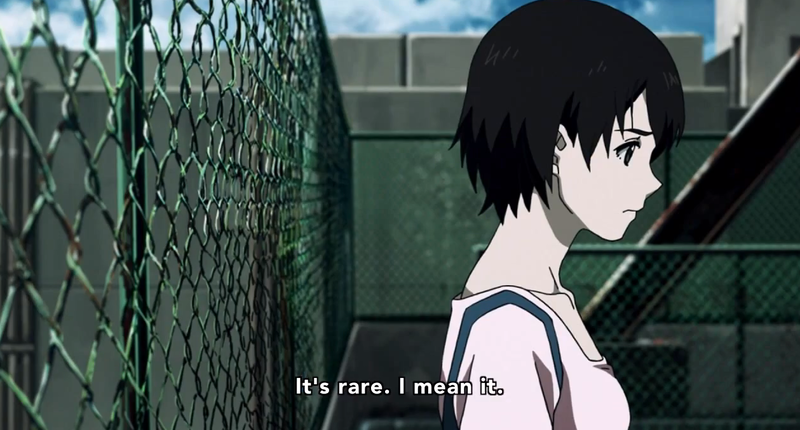 To hear Nine speak (and from Five’s own mouth), it seems that Lisa isn’t the only one who is seeking a connection with Nine and Twelve. The three of them are finally joined once more in the airport, as they play a strange game of chess over a ticking bomb. There’s obviously still more history between the three genius kids that we’ve yet to which we’ve yet to be privy, but Five’s reaction when she sees Nine on the security cameras, highlighted in a dramatic shot of a smug eye widening into an insane stare, demonstrates that Nine isn’t the only one still fixated on their past relationship. Shibasaki, too, has come together with others, as the other police officers join him on “lunch” to drive to the airport to do their part in stopping the bomb. This highlights an interesting characteristic of forming communities—they can often be just as much about people excluding others as they can be about people coming together. Five’s obsession playing her game with Nine excludes all others; she appears wholly incapable of sharing this relationship, to the point that she’s willing to force a shut down of the entire police force to make sure that she can play her rival in a solo game. Shibasaki is now on the outside, where he was once a trusted opponent of Nine, now he is reduced to playing for scraps from the table. It’s not only Shibasaki’s sense of justice that compels him to defy orders. 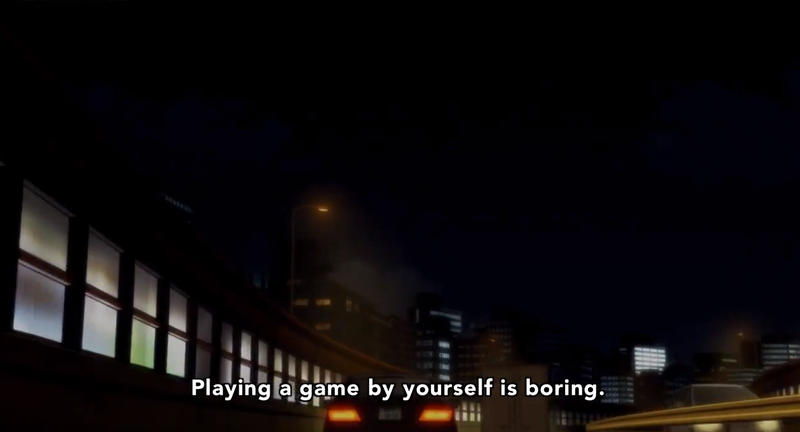 As the once-jealous officer pointed out a few episodes ago, Shibasaki was enjoying the games, even in spite of himself. Certainly, he also is loathe to give up the connection, no matter how twisted, that he had finally obtained. 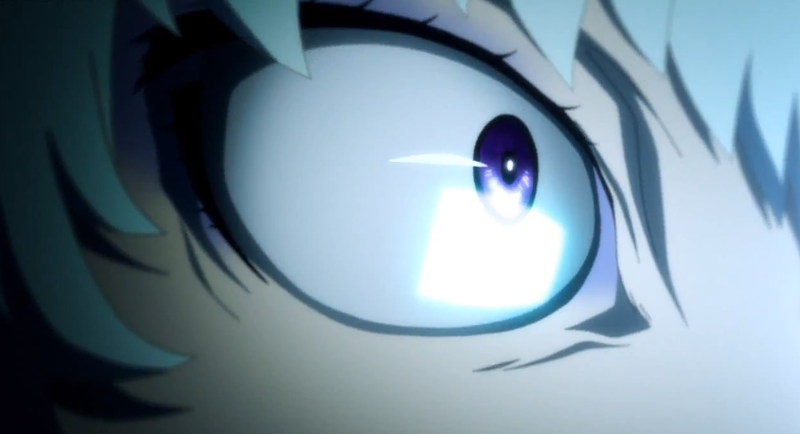 Despite all this, the episode moved kind of slowly for me. 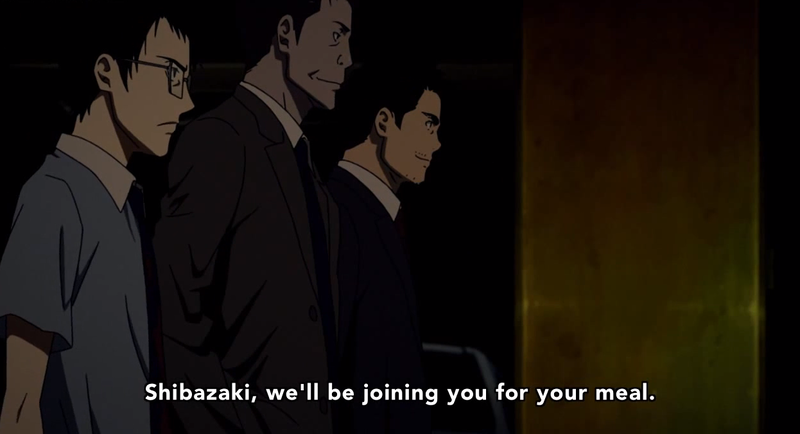 We spent far more time with the police officers (I don’t really include Shibasaki in the general police officer category anymore—good job Zankyou no Terror) than I liked. And, while I like Lisa a lot, there was probably more time spent than necessary on her. I don’t know if I just wasn’t as tuned in the week, but I also missed a lot of the small details in the visuals of this episode that I have so prized in previous episodes. 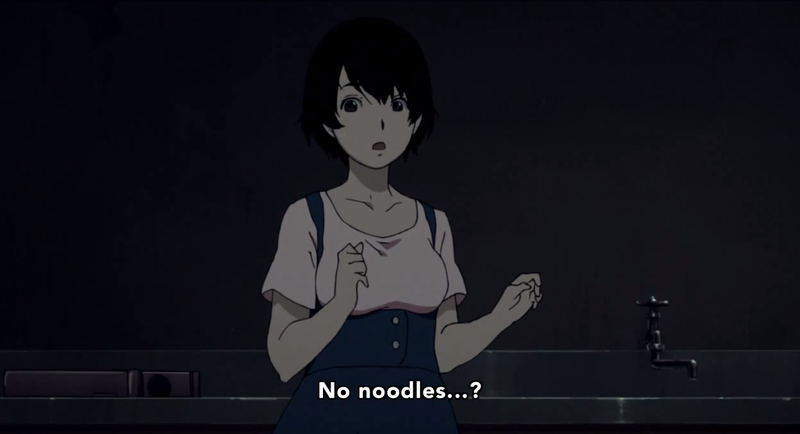 That’s not to say the episode was “bad,” but by Zankyou no Terror standards (especially after the last two episodes) this was a bit of a down week. Lisa wants to belong. Twelve wants to feel like a normal person through honest human connection. Nine clings to the past, and shuts out others in a quest for redemption. Five is also isolated. She only cares for those who interest her, and views them as toys. Shibasaki is trying to forget his past, by working towards something that makes him feel useful again. At least that’s my understanding of their motivations thus far. The themes are strong in this one.. I didn’t notice very much visually this time round either, but than that scene with Twelve and the feathers was really pretty (what WAS that about anyway? 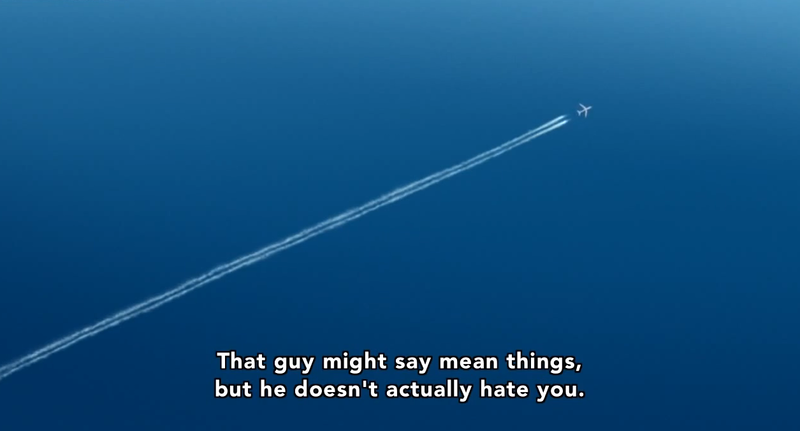 The white bird in the OP?). One thing you may find interesting is the way they shot Fives scenes throughout the episode. They never framed her in full. 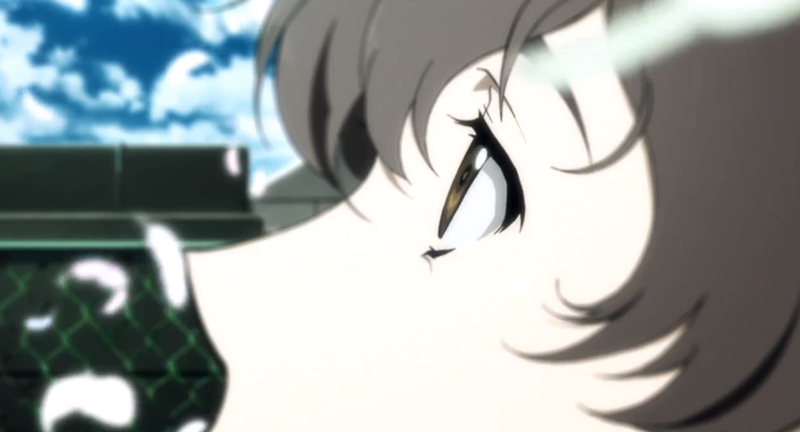 It’s always a shot of her back, or a slightly too-close close-up of her face. The close-ups are always on one side of the camera. When she faces the camera her body doesn’t. It creates a sort of distance. Heavy focus on her eyes and lips, as well. What does it mean? Good direction. I think the feathers were the visual representation of Twelve’s synesthesia in that moment (the soundtrack during the sequence was a high-pitched, though not harsh, kind of screech? wail? call?). I’m going to thinking on the framing of Five’s shots for a little bit and then maybe write a bit more about why I think that might be. That was my thinking too, but I feel like there’ more to it that I’m missing. I think ‘chime’ is the appropriate word for the soundtrack there. I’m not sure what to make of it, but(!) if you listen close, the sound of Fives footsteps from the last scene carries over for a while. Well, that’s another layer to it. My very first impression was that it was the visual representation of the sound of Twelve’s memories of Five. Haven’t got to the shot framing yet, been a bit busy.